Bob is a highly experienced executive who has successfully launched and grown numerous business ventures over the course of his career. After attending Vanderbilt University, Bob immediately gained core sales and marketing expertise while working for several of the most respected Fortune 500 companies. He led large regional sales and service operations for major equipment manufacturers, while honing key skills in P&L management and general business operations. 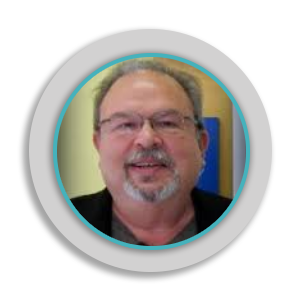 A self-described “serial entrepreneur”, Bob acquired a small company in Boston and grew it into the largest provider of commercial print vending equipment and services to public and academic libraries in the United States. He also acquired a small Harley-Davidson dealership, then immediately revamped and expanded operations to become one of the premier dealerships in New England. Bob has a passion for building businesses, and credits his success to his ability to build high-performing teams, his good instincts, and the knack for “connecting the dots” to see the bigger picture. As CEO of Vet Innovations, Bob sees a unique opportunity to bring unique, disruptive technology to common problems impeding companion animal wellness, and in doing so, help pets live longer, healthier lives. 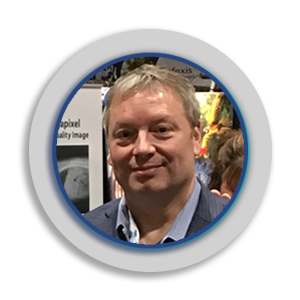 Dave is an expert in consumer product design and engineering, and brings that expertise to Vet Innovations, where he leads the product development effort. After earning a degree in mechanical engineering from Worcester Polytechnic Institute, he quickly set out to establish himself in product development. He has worked for some of the largest and most successful consumer tool and appliance manufacturers, including Black & Decker, Stanley, and SharkNinja. 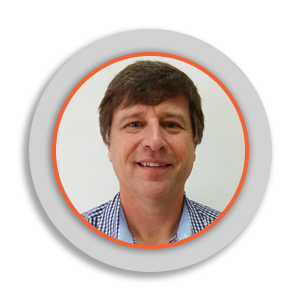 A gifted product innovator, Dave has led engineering and design efforts for small appliances and cordless/corded power tools manufactured all over the world. While keeping current in product development skills he has managed engineering groups of up to 70 people for large public to small private companies as well as running his own product development consulting business. He holds more than 30 patents and patents pending across a wide range of consumer products. Dave is passionate about leveraging his deep experience to develop and design the unique access control devices that Vet Innovations will soon bring to market. Dr. Hexter has been practicing companion animal medicine for more than 25 years, and most of those years have been at the Old Canal Veterinary Hospital in Plainville, CT. Troy grew up around animals and always knew he wanted to be a veterinarian from the time he was in grade school. He has a passion for animals that drove him to volunteer for a local veterinarian in his hometown of Columbus, OH during high school and where he continued to work through college at The Ohio State University. It was there where he earned his undergraduate and doctor of veterinary medicine degrees. After moving to Connecticut and spending a few years in private practice, Troy took a position running the Animal Emergency Clinic in West Hartford. It was this role that gave him new challenges and opportunities to improve his skills and experiences. In practice, Troy routinely sees situations where parents of multiple pets struggled with the daily feeding regimens. But it was a near tragic personal event that became the impetus for his role at Vet Innovations. A multiple-pet parent himself, he almost lost one of his six cats when dramatic diet-related weight loss went unnoticed. Fortunately, he caught this and intervened, and today Daisy is still with the Hexter family and doing well. But it was this experience that prompted him to begin the process of creating the Vet Innovations’ unique access control technology. Dr. Hexter is excited about the potential to solve the challenges of dietary management in the multi-pet home, and deliver on his passion for caring for animals.